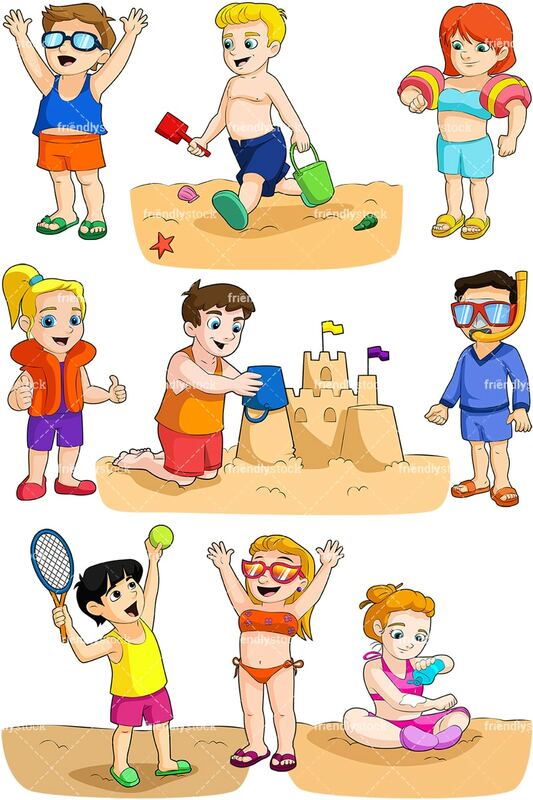 Royalty-free stock illustration of a young girl with red hair in a pink outfit sitting in the sand applying sun tan lotion. 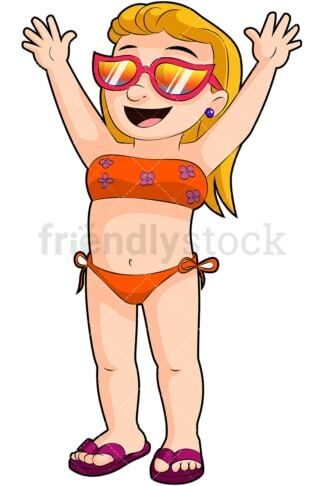 Royalty-free stock illustration of a boy ready for scuba diving with a snorkel in his mouth wearing goggles. He’s wearing a blue beach suit and orange flip flop sandals. 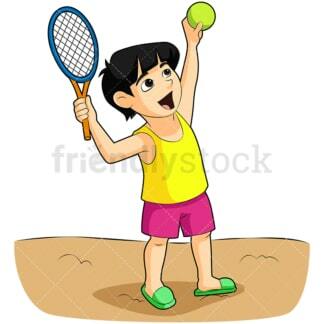 Royalty-free stock illustration of a black-haired boy playing tennis, holding a racket and tennis ball. He’s standing on sand at the beach wearing sandals. 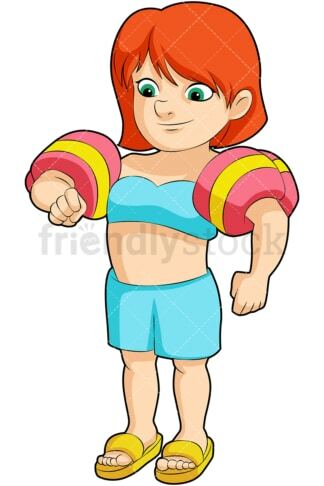 Royalty-free stock illustration of a girl with red hair ready to go swimming, showing off her inflatable arm bands. 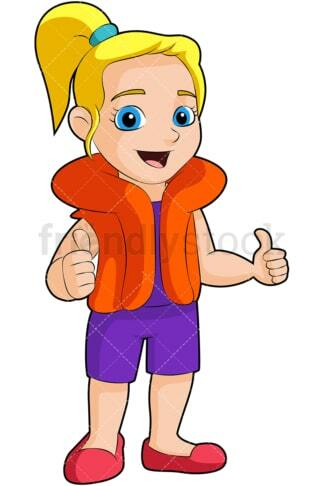 Royalty-free stock illustration of a little blonde girl wearing a purple swimsuit and orange life jacket, giving the “thumbs up” sign with both hands.